We drive the Mini India's first special edition on the facelifted (LCI) 2018 Mini Cooper S Oxford Edition, which has been launched just in time for the festive season. The production is limited to just 25 units and will be available exclusively through Amazon India only. 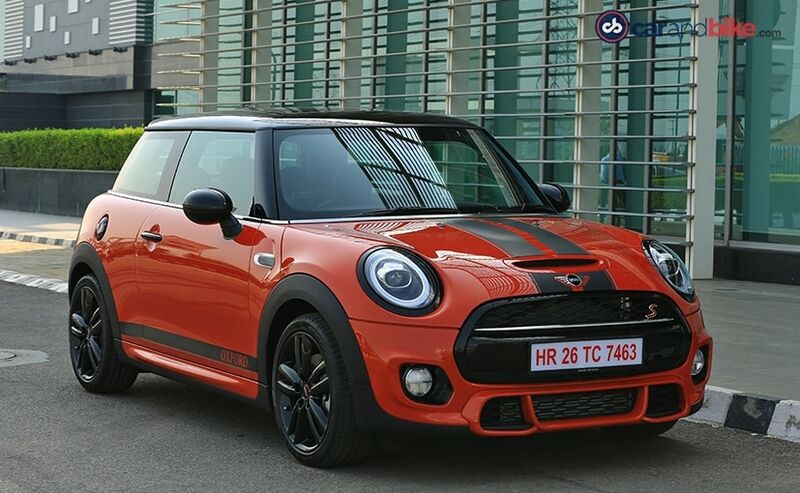 The Mini Cooper is one of the coolest little hatchbacks in the world and also the most expensive hatch you can buy in India. 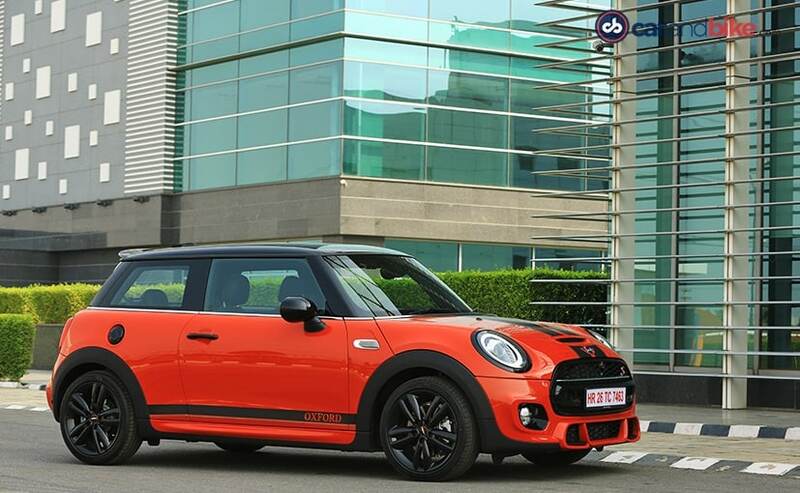 Earlier this year, Mini India showcased the facelifted Cooper S at the 2018 Indian Auto Expo and then subsequently launched the facelifted version of the popular hatch in India in May. And it got a fair few updates on the inside and outside. But now, keeping up with the festive season rush Mini India has decided to bring its first ever-special edition on this new model. 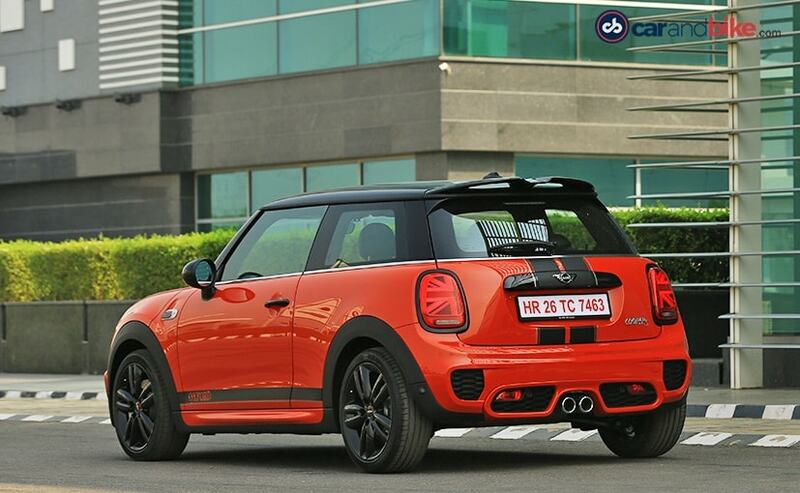 It is called the Mini Cooper S 'Oxford Edition' and is available only in the 3-door hardtop version. We take a quick first look to see what you get as extra and if the Mini Cooper S Oxford Edition's price tag of Rs 44.90 lakh (ex-showroom) is really worth it over a standard car. Before we go further though, if you are considering one, best hurry as these will be limited to just 25 units and will be available exclusively through Amazon India only. The Mini Cooper S Oxford Edition gets all the fancy bits that were introduced when the facelift came around. 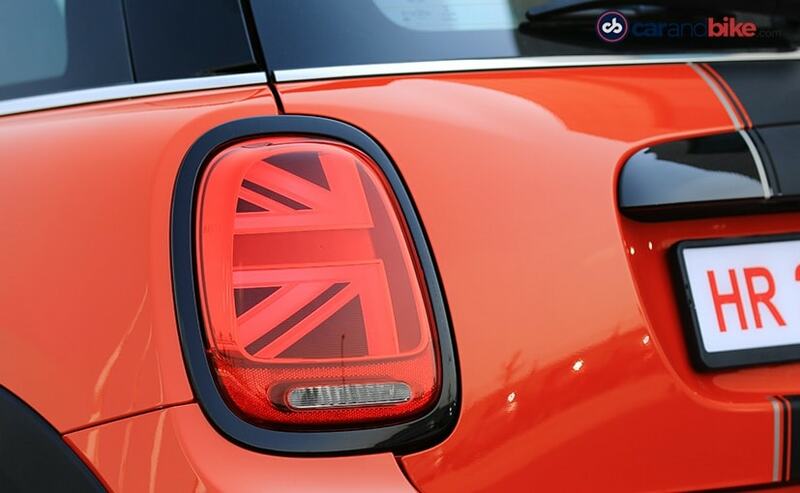 So you get the new round LED daytime running lights, the new LED headlamps and of course, the new - and really quite cool - Union Jack LED tail lamps. And then the list of extras really starts to kick in. 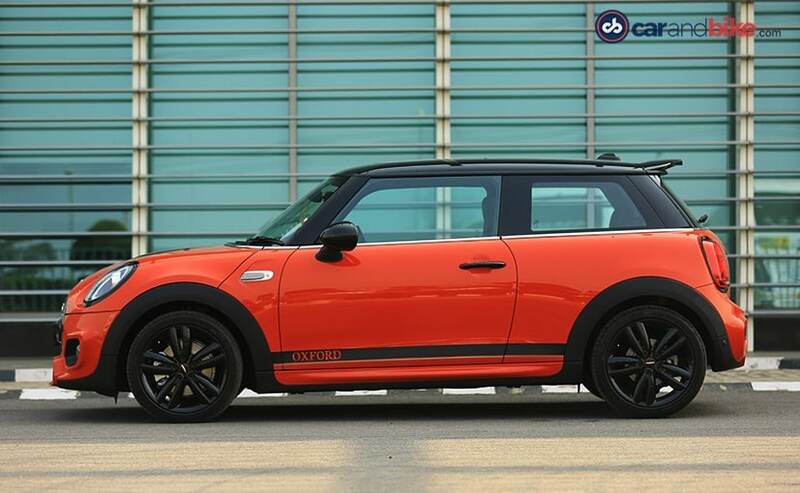 For starters, the Mini Cooper S Oxford Special Edition is available in two special colour combinations. You can either get the sizzling hot Solaris Orange, a paint that is available exclusively on this special edition with a contrasting black roof - or you could go the other way around and get the Midnight Black paintjob with the Solaris Orange roof. And honestly, both look quite stunning. Both paint options though come with the glass panoramic roof as standard. You also get a set of black 17-inch wheels, which if you would choose as an option on the standard car costs a whopping Rs 3 lakh!!! On this version though, they come standard. The rest of the car also gets a blacked out theme. From the grille surrounds to the headlamp surrounds to even the fuel filler cap, it is all finished in a shade of high gloss black. In fact, the only chrome trim on this whole car is the little accent trim that runs just below the window line and one small slat on the grille itself. 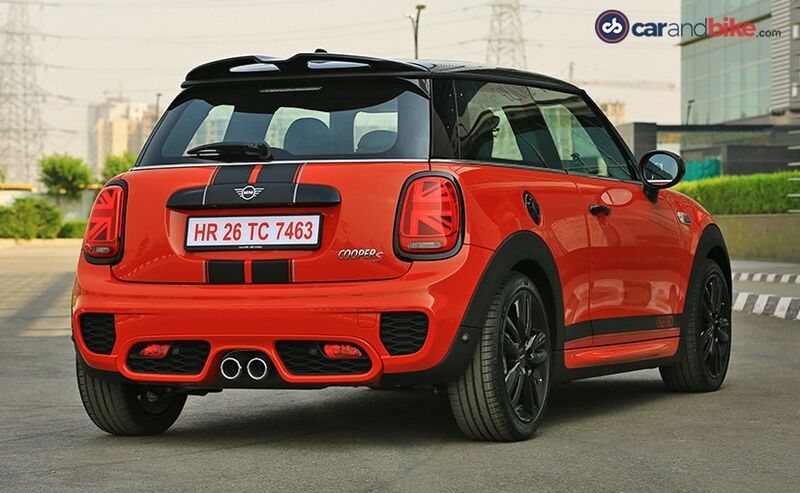 The car also comes standard with the aero package on the front and rear bumpers and you also get the 'double bubble' John Cooper Works or JCW spoiler as standard. And to top it all off, you get a set of matte black and grey racing stripes. And then we get to the really cool stuff. 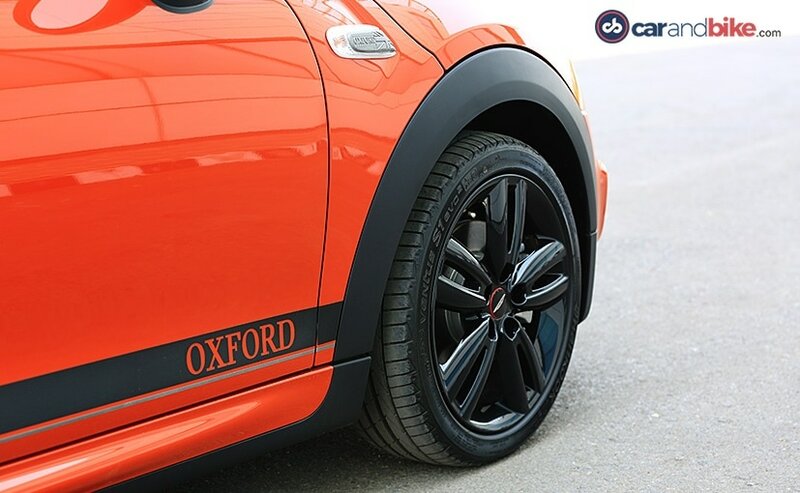 The kind of options that really prove the statement 'no two Minis come out of the factory alike'... Mini India now offers the customisable 3D printed panels for the front fender, which although in this case says 'Oxford', can be custom made to have your name or your wife/children/dog's name or as a matter of fact, anything you would fancy. If given the choice though, I would christen the car itself and have that on the little piece there. And it is this level of customisation that draws customers to the Mini brand. Mini really takes its Britishness seriously and while in some other car it would look a little tacky, in the Mini, it screams cool. We actually counted how many Union Jacks were on the Mini on the inside and the number is an unsurprising. 8! And that's ok because if any car can pull it off, it is this. You get small metal Union Jack buttons stitched into each seat, Union Jack themed headrests for the front seats, a tiny one on the steering wheel and finally - the coolest one of the lot, the illuminated dash panel. And its not just some light, the colour of the illuminated flag actually changes with the rest of the ambient lighting. Seriously cool! 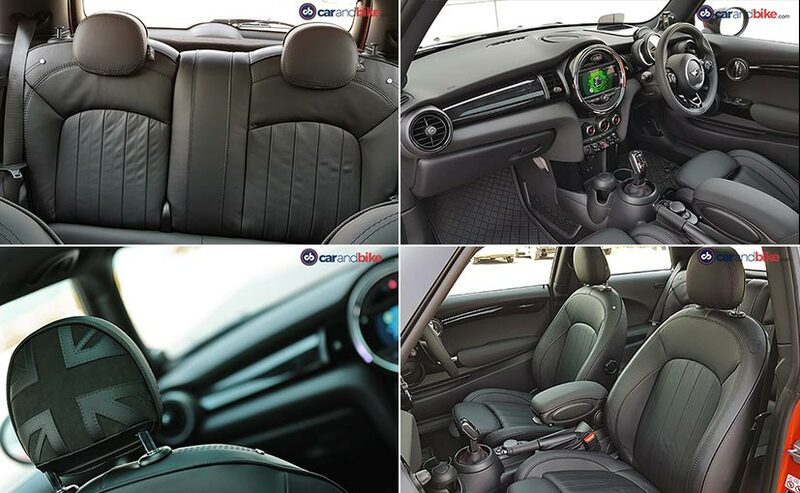 The Mini Cooper S Oxford Special Edition also gets an all black interior. This means black seats, black panels on the doors and dashboard and a black roof liner too. On the black car though, you can opt for the more premium looking Malt Brown interior package. That said, Mini India has very sensibly decided to go all out and offer the most premium seat option as standard on the Mini, and before you ask, no, it still does not get electric seats. You do however get other features like wireless charging and the new larger optional touchscreen infotainment system as standard. Oh and yes, lest we forget, the latest wireless Apple CarPlay! The customisation continues on the inside too. 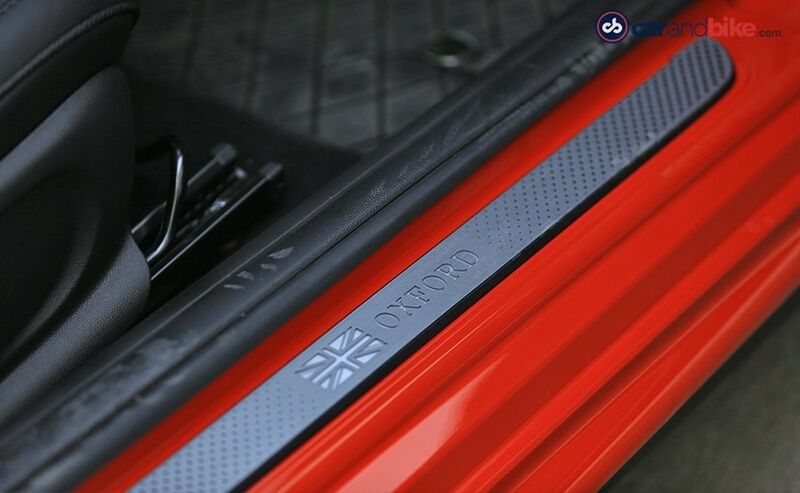 Just like the fender badges, the door sills can also be customised to read whatever the owner wants. However, as standard, the door sills read 'Oxford' and are, of course, illuminated. 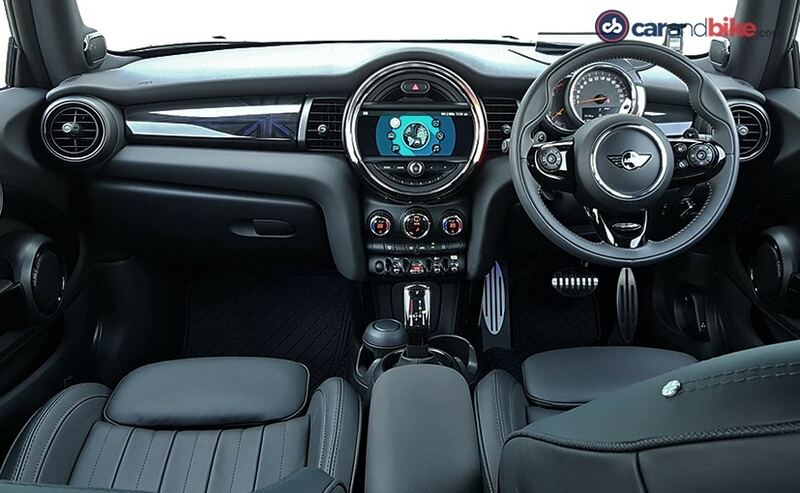 And as a cherry on the cake, the Mini Cooper S Oxford Special Edition also comes standard with a little phone holder that has been well integrated with the instrument binnacle so that you don't have to place it in the cup holders. While previous festive special editions featured the likes of the John Cooper Works performance package that bumped up the power and added the most bonkers exhaust ever fitted to a factory spec hatchback, the new one is mechanically identical to the standard car. Under the hood is a 2-litre turbocharged 4 pot that makes 189 bhp of peak power and 280 Nm of peak torque. This means that 0-100 kmph is still disposed off in just 6.7 seconds and on to a top speed well over 200 kmph! And yet, the official ARAI fuel economy figure for the Mini Cooper S is a 17.44 kmpl. Now we have driven the Cooper S in the past, extensively, so we wont go on and on about how fun it is to drive. But the key word here has and always will be - FUN! While you will have to be extra careful with those super low profile tyres over bad roads and while the chassis is a little too stiff for Indian roads, show it a bunch of corners and you will forgive it for every time it went through a set of potholes and broke you vertebrae. I can't emphasise on how much of a smile getter this car is! Priced at the Rs 44.90 lakh (ex-showroom), the Cooper S Oxford Special Edition is ₹ 11.70 lakh more expensive than the standard Cooper S, but it does give you a whole lot more for your money. In fact, if you tried to spec out a standard Cooper S to this level, you would be looking at about Rs 12-14 lakh worth of optional extras! By that logic, the Mini Cooper S Oxford Special Edition is actually great value for money. The verdict is simple then. If you can afford a speced out Cooper S but want something a little more exclusive, just go ahead and buy this! I'd have the orange. What about you?